Is written in a relatable style that draws readers in and encourages them to think critically about the implications and effects of their writing. 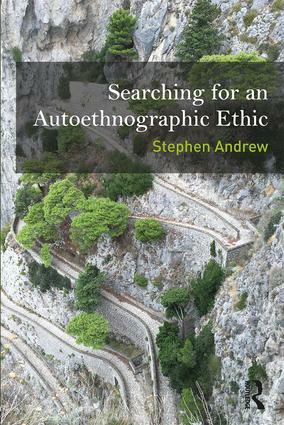 Examines the history of qualitative and autoethnographic research. Provides implementable strategies for textualizing lived experiences and relationships with others. Chapter 4: Worked Example 1: "An Epistemology of Love"
Autoethnographic Essay: "An Epistemology of Love"
Worked Example 1—"An Epistemology of Love"
Chapter 5: Worked Example 2: "Fire Reflections"
Chapter 6: Worked Example 3: "What Happened?" Stephen Andrew has taught counselling and psychology at La Trobe, Swinburne and Monash universities and at the Melbourne Institute for Creative Arts Therapy and Phoenix Institute. He is currently a senior lecturer at the Cairnmillar Institute in Melbourne and sees individuals, couples and supervisees in his private practice.